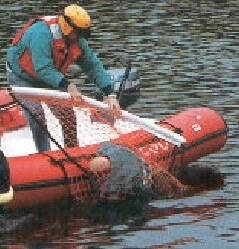 A recovery net for horizontal body retrieval. Includes stainless attachment hardware for mounting. Dimensions: 7' x 6'. 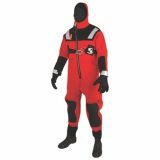 For full weather protection and comfort Based on Mustang Survival's award-winning technology, the MC1534 ThermoSystem Plus Coat delivers flotation with enhanced hypothermia protection. 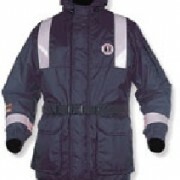 Featuring a neoprene beavertail to slow body temperature cooling by reducing cold water flushing, it also offers an insulated hood and neoprene wrist closures for weather protection.